Refinishing cabinets can significantly improve the look of your kitchen. However, refinishing kitchen cabinets in Raleigh, NC and beyond can be a tedious and time-consuming job, when done correctly. Osborne Painting has the experience and the knowledge to give you the best quality job possible with a range of finishes including paint, stain, varnish, and lacquer. If you are a homeowner in the Raleigh, Durham, or Cary, NC area, you can trust Osborne Painting to provide you with personalized service and excellent workmanship each-and-every time. Osborne Painting is more than just an interior and exterior painting company — our cabinet refinishing services in Raleigh, Cary, and Durham, NC are some of our specialties, too! Green – Deciding to refinish your cabinets is a choice that is beneficial to both you and the environment. Cabinet refinishing is an eco-friendly and green restoration project because it takes what is already in your house and transforms it, instead of replacing it. After we are through, you’ll hardly be able to imagine why you ever thought about throwing the old ones away! Inexpensive – Ever priced out what it would cost to replace the cabinets in your Raleigh-area kitchen or bathroom before? 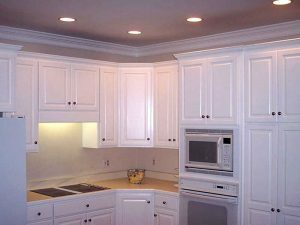 Save 40%-70% by having the professionals at Osborne Painting refinish your cabinetry. There are no costs for demolition, disposal, new, expensive cabinets, etc. 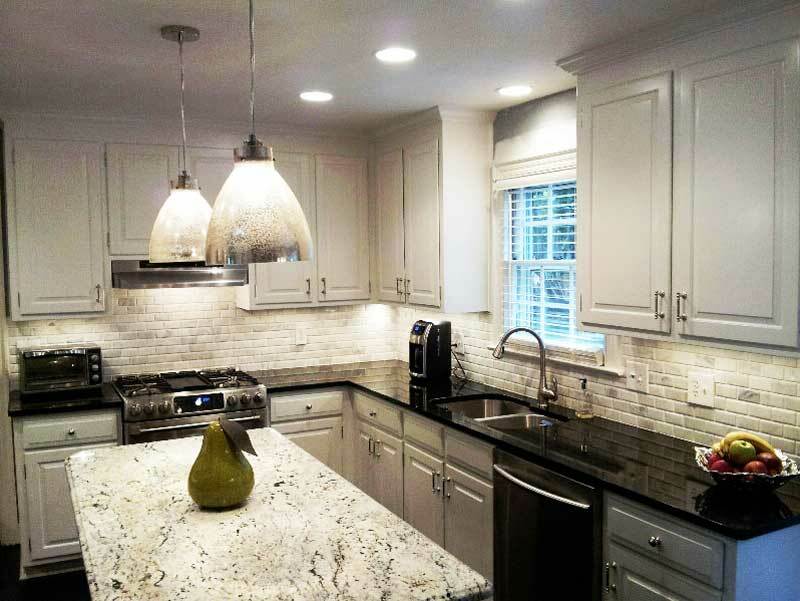 Saves You Time & Energy – Homeowners in Raleigh, Durham, Cary and beyond who attempt to go it alone and refinish cabinetry by themselves are often not satisfied with the results. It is a time-consuming, physically-demanding process that can be difficult. Osborne Painting will do the job properly, saving you stress and strain. As one of our many services to help you enrich and update the appearance of your home, we offer cabinet resurfacing, staining, and painting along with refinishing. We have extensive experience with our cabinet refinishing services, and the projects are often very cost-effective and much cheaper than replacing your kitchen will brand new material. Along with that, the options and design possibilities are endless. Our finished product is easily cleaned and is fade-proof. If you have questions or comments about our Raleigh cabinet refinishing service, reach out to us today. The procedure of refinishing your already-existing cabinets is easier than you may expect. After we take down all of the doors and drawers and strip and sand them, the requested stain or paint is applied. The details of each project differ case-by-case, so be sure to ask any project-related questions you may have. The refinishing of your cabinets generally takes one week from start-to-finish. Along with that, be sure to check out our blog article covering how to choose an interior paint for your home in Raleigh and surround areas, as we are commonly asked to match clients’ cabinets to their interior walls. Contact Your Raleigh Cabinet Refinishing Company Today! We take our promise to provide “Quality Work, One Step at a Time” seriously. At Osborne Painting, we don’t take shortcuts. Whether it’s cleaning, preparing, sanding, caulking, priming, or painting, all steps are completed before moving on to the next. We’ll take the time to get the job done right. Take a look at our client testimonials to see for yourself just how satisfied Raleigh homeowners are with the quality workmanship and customer service they receive from the premier painting contractor, Osborne Painting. Along with that, if you own or manage a commercial property and find yourself in need of interior restoration services, contact Osborne Painting and ask for additional information regarding our capabilities and services for commercial and business clients by calling (919) 878-6611.